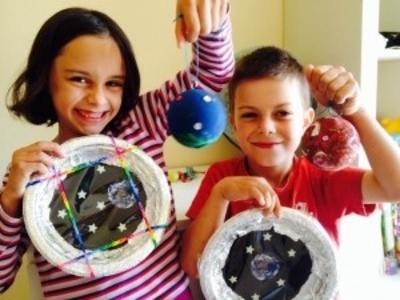 Do you need a project to keep your kids busy during the school holidays or weekend? Looking for something that's fun, mentally stimulating and can be done indoors in case of bad weather? Check out these Kids Activities boxes. Designed by a teacher every box manages to have the perfect balance between science facts, and artistic fun. Each box has a great theme that your kids will love, and is filled with information, instructions and craft materials. 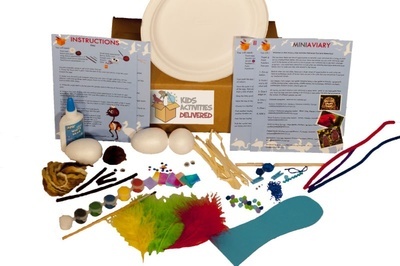 There are at least four activities in each box, including making your own planet, a glow in the dark puzzle, creating a snow globe and many more. These boxes are made in Australia, so unlike many of the entertainment opportunities around today they have an Australian focus. they interview an Australian archeologist, help your kids make a baby emu, etc. Each box has free delivery within Australia. This includes any paints, glue and craft materials required. It does not include scissors as most of you will already have them around the house, but these can easily be added on at the checkout for $2. You can also add a 'sibling kit' for $10. This gives you extra materials so that your kids don't have to fight over them. Usually the boxes themselves cost $25 each (or $92 for a set of four, one sent the week before each school holidays). However, Kids Activities Delivered have kindly offered us a box to send to one of our subscribers for free! To enter please first make sure you have subscribed to us. Then email kidtownmelbourne@gmail.com with the subject 'Kids Activities Delivered'. Please include in your email your name and postal address, as well as which box your children would like, and why. Entries close 18th of August, 2014.